"Chicks on Speed and Peaches. And other bands like that." Sarah is the bassist of Go Chic, an appropriately electro punk band from Taipei. I love her DIY sliced tee, blue ocelot print leggings, and those beautiful oxfords. 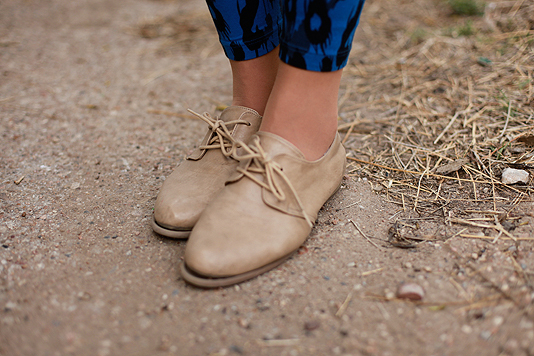 There were a lot of good looking oxfords in Austin this year.